If you missed out on the chance to upgrade your broadband during the latest round of sales, do not fret – TalkTalk has unleashed a blockbuster deal in the wake of Black Friday and Cyber Monday. TalkTalk is handing out a £55 Gift Card to spend at either Amazon.co.uk, Tesco, Argos or Ticketmaster when you sign-up to its Fast Broadband bundle. That Gift Card can be used to buy a Christmas present for a beloved family member or friend, a weekly shop at Tesco, or a ticket to gig you desperately want to attend. This a seriously good deal. Especially since the £19.95 per month Fast Broadband bundle was already a bargain, thanks to its average download speeds of 11Mb, no activation, and no one-off set-up fees. 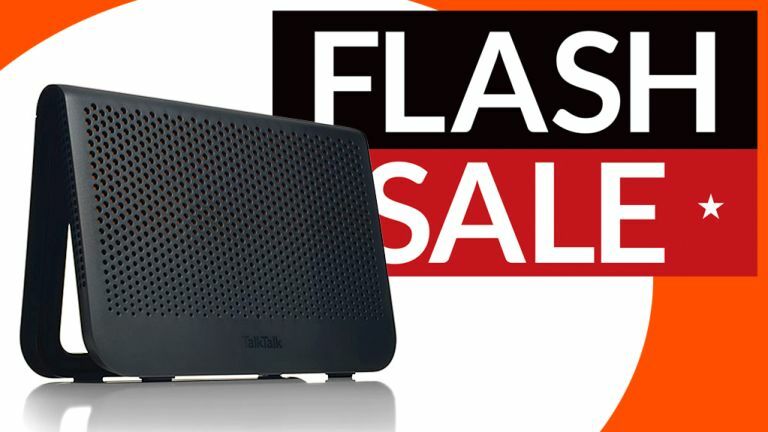 To get your hands on this deal, head to this GiftCloud page and enter your email – you won't be eligible if you head straight to the TalkTalk website and checkout. You'll then be guided through the process of ordering your new broadband contract with that added £55 Gift Card incentive. That webpage has the full T&Cs for the offer. It's worth noting the £55 Gift Card deal is only available on the TalkTalk Fast Broadband package, so those who are looking for a speedier fibre offering need not apply. If you'd like to compare the latest TalkTalk deal with broadband deals from rival firms, scroll down to the latest discounts in our interactive comparison chart. Not only are you getting a seriously good deal on your broadband here, but you're also getting a free £55 Gift Card. That's a lot to spend on Amazon.co.uk, Tesco, Argos, or Ticketmaster. As if that wasn't enough, there are also no upfront costs, or activation fees to find here. And not to mention a monthly fee of under £20 that's guaranteed for the length of the contract. Bargain. If you'd rather not sign-up to TalkTalk, or need a faster fibre broadband connection, why not check out the interactive chart of all the latest broadband and fibre deals in the UK at the moment.